Kokanee Salmon are the landlocked version of the Pacific Sockeye salmon. Stocked in Nantahala Lake in the early 1960&apos;s as forage for the predator population of Walleye, Smallmouth and Largemouth Bass, the salmon have been naturally reproducing ever since. The average Kokanee Salmon across the country is 12" with a few lakes producing larger fish. Nantahala is one of those lakes. 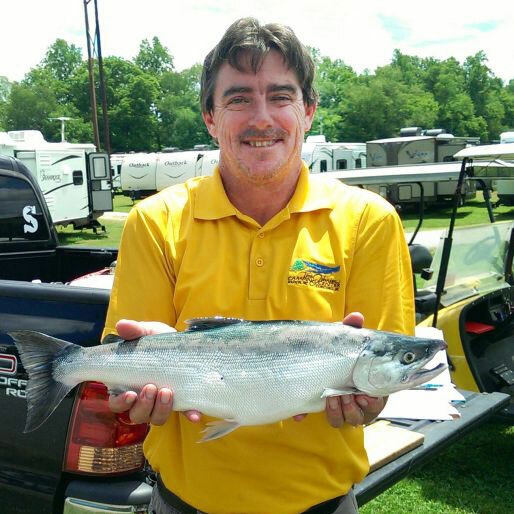 The average salmon in Nantahala is 18" with many fish over 20".